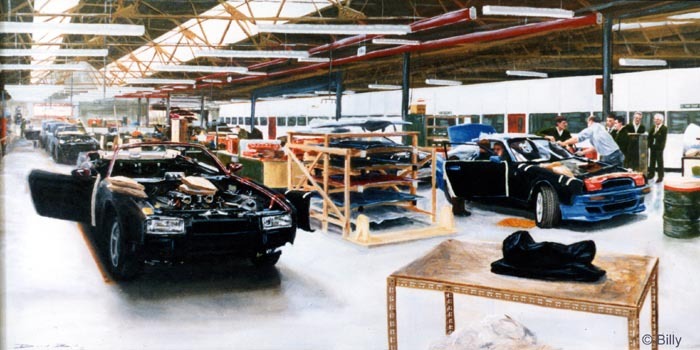 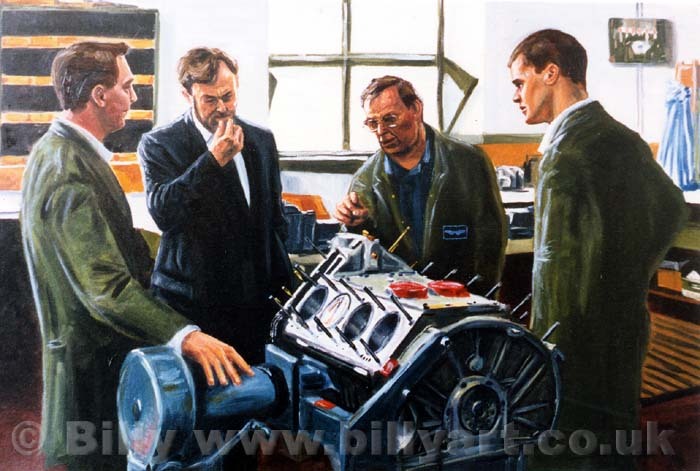 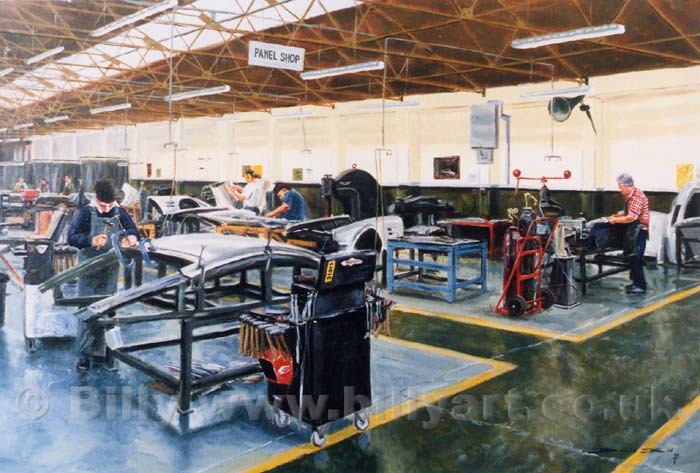 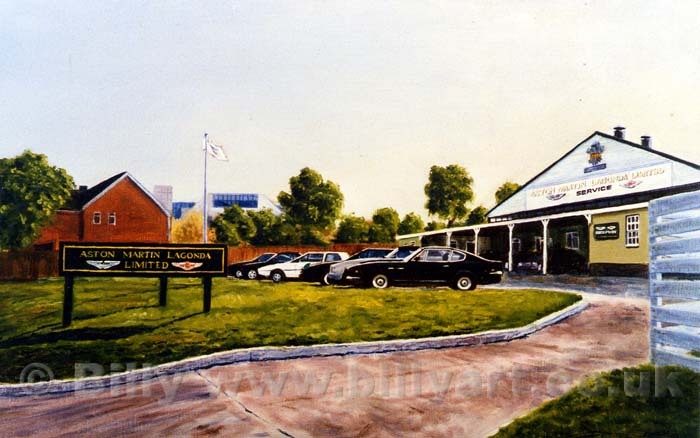 Below are paintings of Aston Martin's Newport Pagnell factory and incredible cars produced by Billy the Artist. 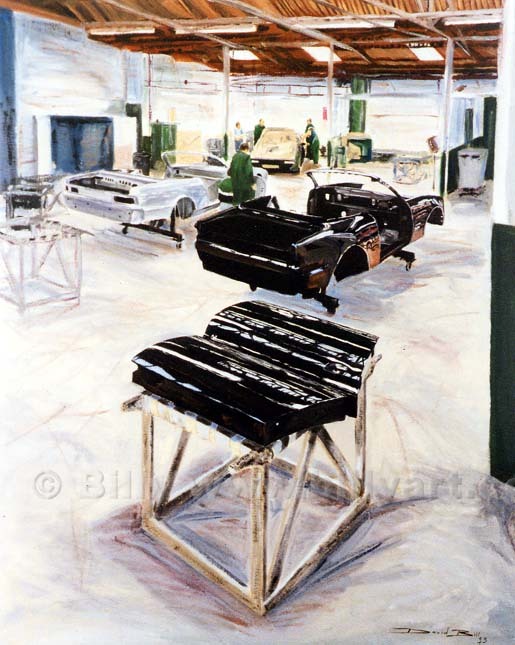 These Aston Martin paintings were part of Billy the Artist's first one man show in Aston Martin's Mayfair, London showroom. 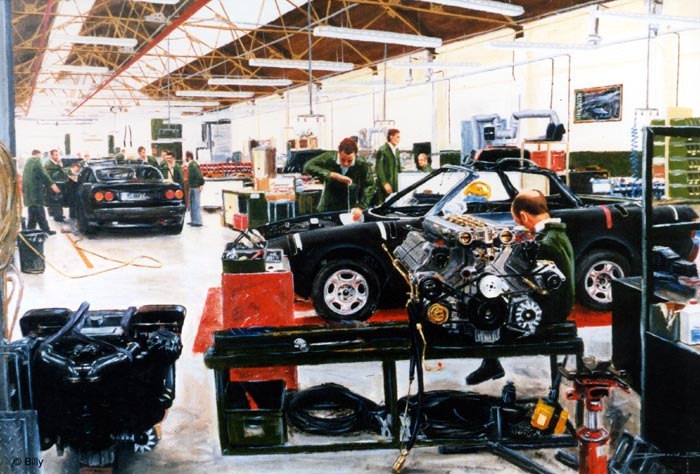 They show the production facilities of Aston Martin Lagonda's historic Newport Pagnell factory and the men who make these beautiful cars. 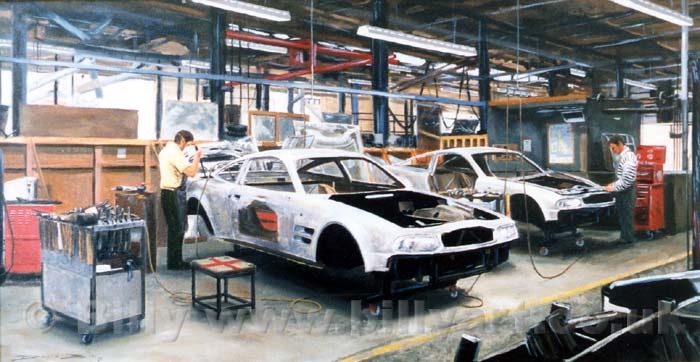 Some of Billy's Aston Martin paintings are in Aston Martin's own collection and some are in private collections. 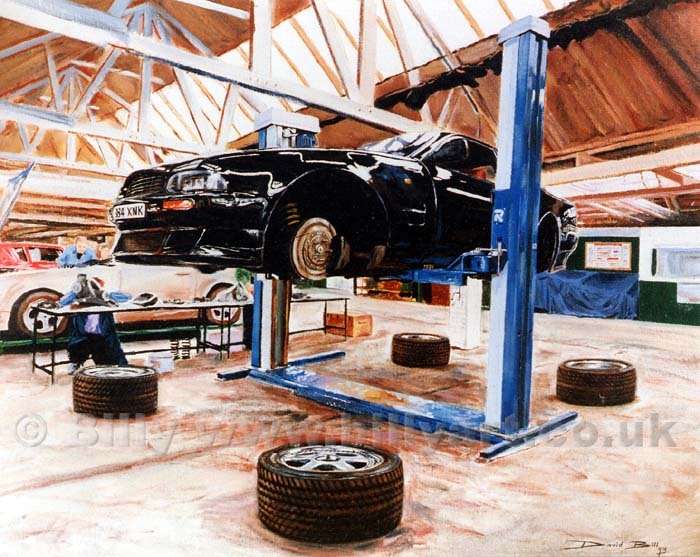 The remainder of the Aston Martin Collection by Billy are available for purchase. 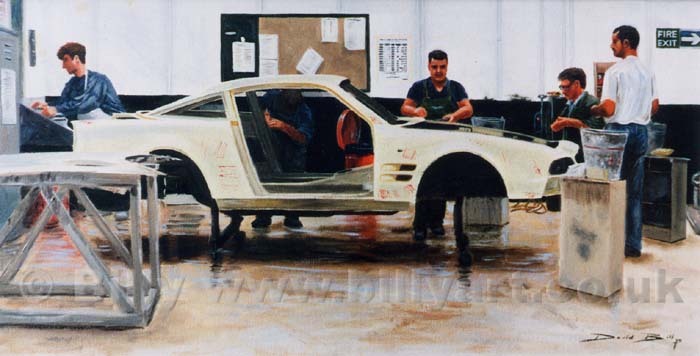 E-mail Billy the artist if you are interested in purchasing one of the original Aston Martin paintings. 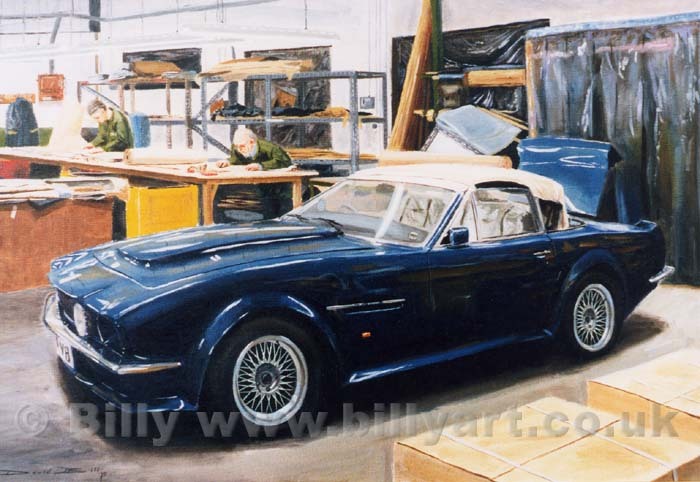 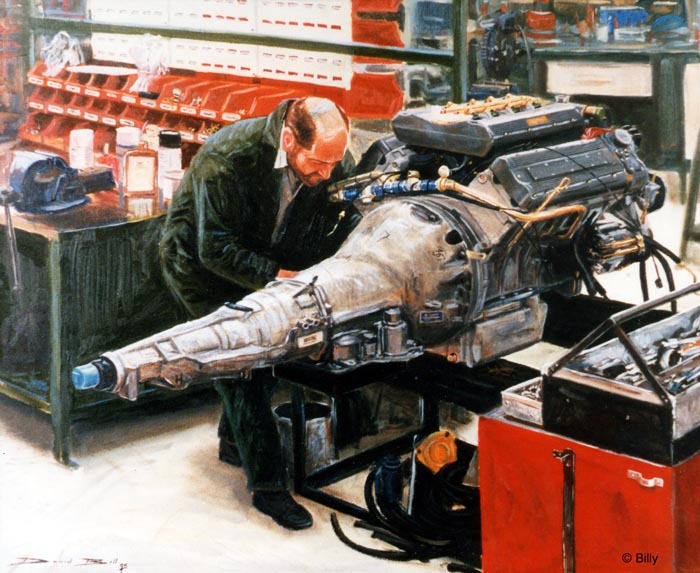 Scroll down to view the Aston Martin paintings by Billy (David Bill) or click here to view the Aston Martin photo album page where you can select each Aston Martin painting individually.